Technical writing can be described as simplifying complex information, concepts or procedures so that the users or readers are able to accomplish some goal or task. A technical writer uses a range of technical writing tools and skills to create easily understandable content for the targeted audience. Most technical writing companies in India such as Ascezen Consulting use a variety of documentation or technical writing tools according to a project’s needs or client specifications. Various technical writing tools are used by technical writers for designing, creating, publishing and maintaining documents, manuals, and files. These tools reduce the effort and time to create documentation files by providing all the essential features and utilities to create, organize, present, and publish understandable content for the users. Online help authoring or documentation tools allow technical writers to create the most accurate, complete, and effective help manuals without spending extra time and duplicating effort to generate various output formats such as online help, user manuals or something for handheld devices. 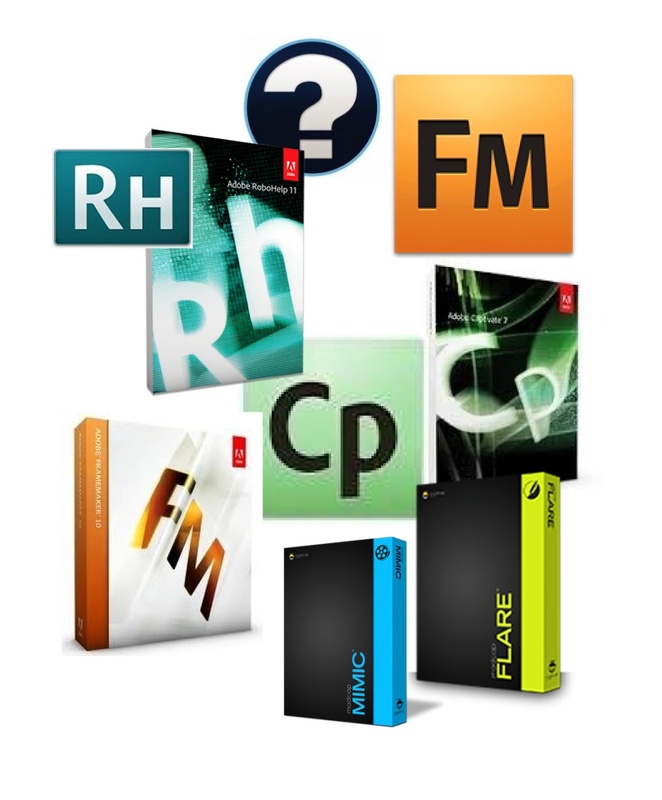 Single-sourcing online help authoring tools such as Adobe Robohelp and Madcap Flare can produce online help simultaneously in CHM format, context sensitive webhelp and even offline documentation such as eBooks, printed user manuals and PDFs. With the help of single sourcing feature, technical writers only have to create the content just once, without the need to maintain separate copies for all the output formats, thus resulting in saving time and effort. It also prevents rework or updating each output format separately. PDF – It is the most common format used for documents, manuals, and files and shared on the web. It suits well for viewing on the computer or printing the manuals. CHM – It is based on HTML format and offers various formatting options, embedding of videos, images and hyperlinks. Web Help – It shares common features with CHM and allows the user to post HTML files to the website. It helps in updating documentation and is effective for Search Engine Optimization (SEO) tactics. It is an acronym used for “What You See Is What You Get.” It allows the user to see the printed document exactly as how it appears to the end users. Screen capture tools such as SnagIT, Madcap Capture, RoboScreenCapture, or Fullshot can be used for collecting and editing screenshots to demonstrate the use of any software or device in the best possible way. Simple Image & Photo Editing tools such as Adobe Photoshop, Microsoft Office Picture Manager or Microsoft Paint can be used to create, edit or post the most appropriate images according to documentation requirement. All of us know that videos are becoming one of the most effective ways of learning to do new things. Video Creation & Editing tools such as Adobe Captivate, Madcap Mimic, Camtasia allow the technical writers to create, capture, edit and post user-assistance or learning videos on the web. RoboHelp is one of the leading technical writing tools that are used for developing web-based help such as HTML help, WebHelp and JavaHelp. Apart from being used for webhelp, it is also used for developing simple tutorials and help manuals. It is considered as one of the standard help authoring tools in technical documentation arena. RoboHelp allows technical writers to import Microsoft Word, Adobe FrameMaker and Darwin Information Typing Architecture (DITA) files and automatically map styles and tables of contents (TOC). The latest version of RoboHelp allows technical writers to customize headers and footers in printed documentation and create single-click HTML5 publishing with ease. At the same time, they can manage shared resources on the cloud, create online help for mobile apps and help online and offline viewers. MadCap Flare is also very popular among the technical writing tools used to create technical documentation such as user manuals, software documentation, online help and policy & procedure manuals. This online help authoring tool is very useful in creating, publishing and managing content to multiple formats such as print, desktop, online and mobile. It not only makes the documentation efficient, but also reduces processing time and related costs. The documentation offers control to technical writers in designing technical documentation. They get full Cascading Style Sheets (CSS) support and can use multiple CSS files for a variety of components and mediums. It supports high-end image graphics and provides various options to create content according to different requirements such as print-ready PDF, web, desktop and mobile. Since all the files and documentation in a Flare project are in XML format, the software helps in sending the entire project out for translation, instead of just the output. With the help of these technical writing tools, technical writers can do wonders with online help and support material. They can turn even the most complex documentation or technology into a simple and comprehensible content with the help of help authoring tools. These tools are very helpful for technical writers to get their creativity and imagination roam freely. Due to constant advancements in computer technology, more productive help authoring tools are being introduced often, so it is important for writers to get updated at regular intervals. Ascezen Consulting trains the aspiring technical writers on almost all of the leading technical writing tools used in the industry. Get in touch to know more about the technical writing training course at Ascezen. Qais Mujeeb is an experienced technical communicator. He has spent more than 16 years in technical writing, content development, web development, SEO/SMM, project management, and training. A certified project management professional (PMP), he has managed numerous Technical Writing, Content Management, Web Development and SEO projects. He has successfully lead collocated as well as geographically-distributed teams and worked for global clients. Currently, he is busy bringing up a content consulting agency called Ascezen Consulting Private Limited based out of Lucknow, India.